In this post, I have given 10 simple tips for Hanuman Devotees for worshiping their favorite God. These are some of the basic, yet most effective and powerful methods of appeasing Hanuman and getting his blessings and protection for life. 1] Tuesdays and Saturdays are considered to the days of the week on which any kind of Puja or Mantra Chanting of Hanuman will be most effective and beneficial in getting quick results or any Hanuman Mantra Sadhana will have greater chances of success, if started on these days. 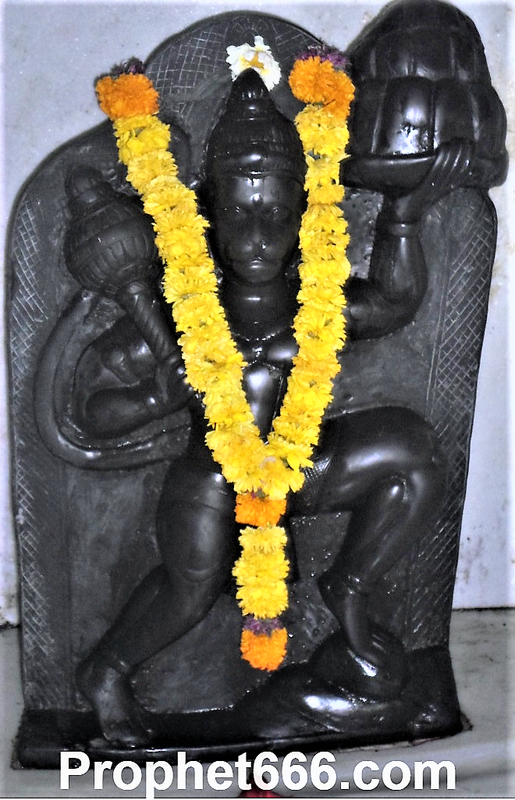 2] As per the Panchang, Paush Krishna Ashtami or Hanuman Ashtami and Chaitra Shukla Purnima or Hanuman Jayanti are the best and most powerful days for the worship or Mantra Sadhana of Hanuman. The tips given in Points Number- 3. 4 and 5 can be followed on these auspicious dates and will prove to be most beneficial on these special days. 3] Om Ham Hanumate Namah – ॐ हं हनुमते नमः Mantra Jaap should be done as much as possible. 5] Chanting “Ram Naam”- “राम नाम" Japa 108 times is very effective in Hanuman Worship. 6] Nariyal, Dhoop, Deep and Shendur should be offered to Hanuman. 7] Chanting the Hanuman Chalisa on Hanuman Ashtami will prove to be most beneficial and effective in appeasing Hanuman. 9] Chameli Ka Tel and Gud- Chana should be offered as Naivedy to Hanuman. The Gud- Chana can then be distributed as Prasad to other Hanuman Bhakts. 10] Seek forgiveness from Shri Ram and Hanuman for mistakes and sins committed by you and then recite the Ram Raksha Stotra, this will prove to be most effective in removing sorrows and problems. The worship of Shri Ram is very dear to Hanuman and it is the same as worshiping Hanuman. Hi sir nice post thnx, one thing I wud like to the mantra u mentioned is it om hhm hanumate rudratmkaye hum phat or om hang hanumate rudratmkaye hum phat, i m very much confuse about ham or hang kindly help m one more thing can iIdo ths mantra wthout guru diksha coz I dnt hv any guru. Quite the same how christians worship Jesus and God. Yes, you can do it for your son.